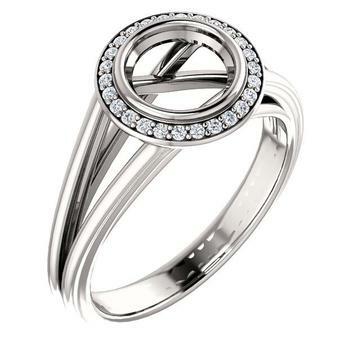 This diamond double halo engagement ring semi mount with split shank is designed for a round brilliant shaped diamond. This is the diamond semi mount only. No center diamond is included.